Looking for a unique design? Here it is! 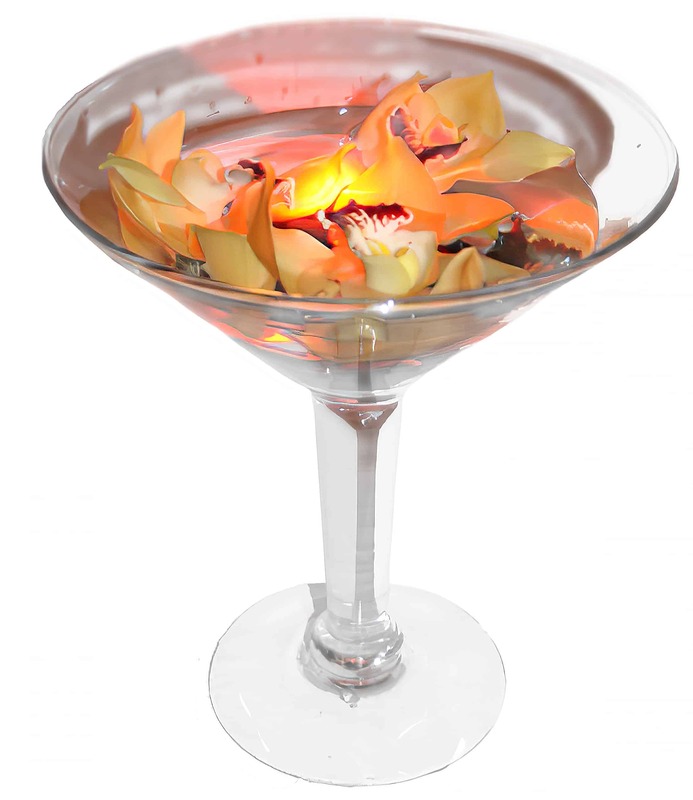 A large cocktail glass (10" in height and 9" in diameter) with black rocks on the bottom, a glowing light and floating Cymbidium Orchid flowers. It's a great gift to say hello, cheers or congratulations!